vScope Billing allows organizations to add prices to their IT resources for more accurate and efficient billing process. 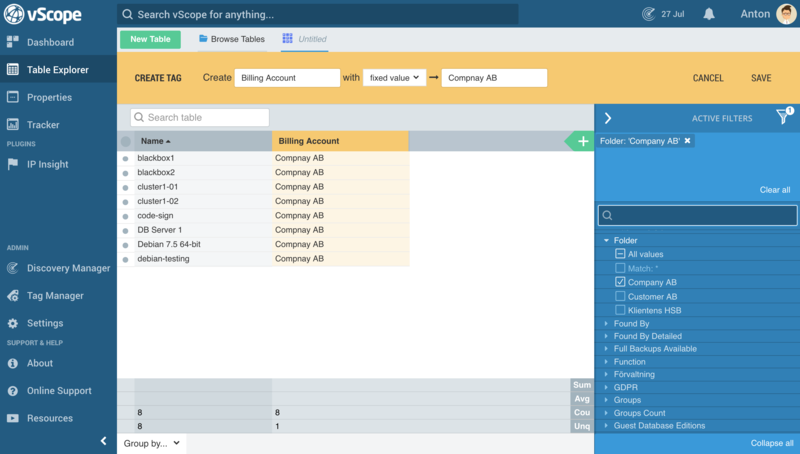 Setting up Billing in vScope is a quite straight forward process that, if done right, will only take you a few minutes. 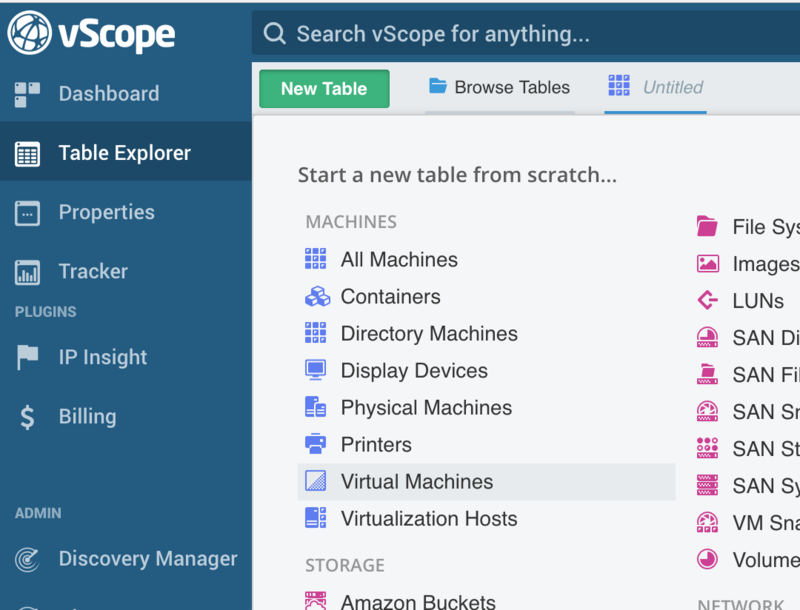 This guide goes through the basics of how to setup vScope Billing in the easiest way possible. If you already have a working Discovery you may continue. 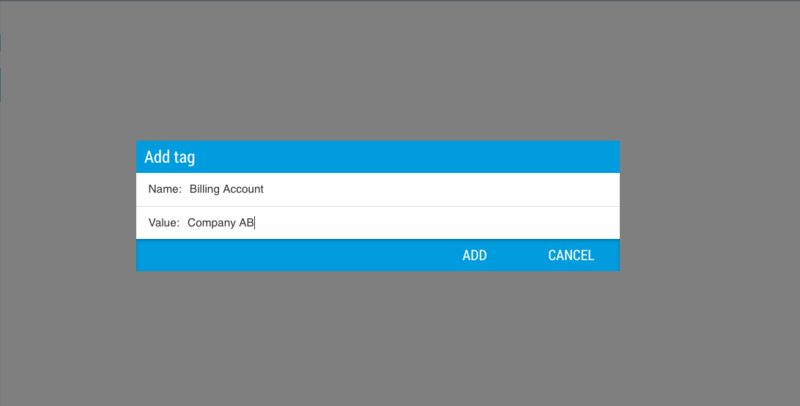 In order to assign resources to your Billing Accounts you will need to categorize them with the Billing Account tag. This is done with help of tagging, most preferably with rule-based tagging. 2. 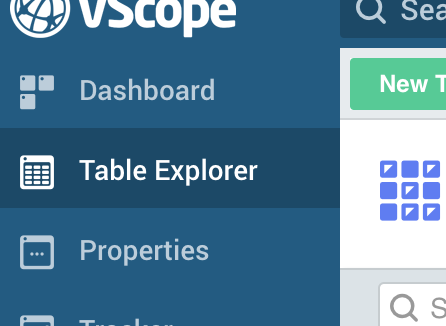 Create a new Table about any resource (eg. Server, User Group) that you would like to assign to a Billing Account. The benefit of using Rule based tags is that Billing Accounts is continuously updated depending rules you define. 6. 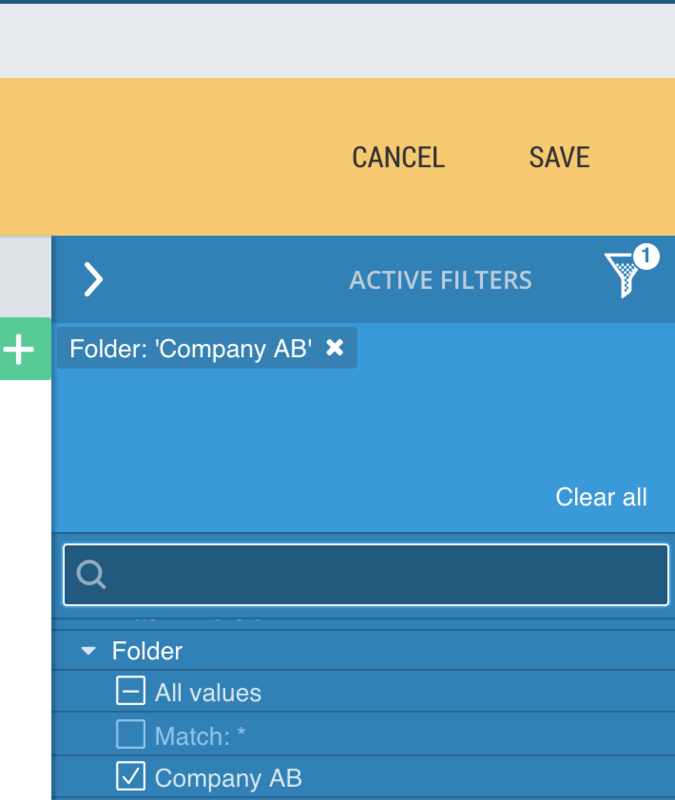 Now open up the filter panel and define: How do we know what customer these resources belong to? In this case, all servers in the folder Company AB belongs to the Company AB. However, you may use IP ranges, VM name, Location or anything else and you may combine any number of filters. 7. Confirm the preview that it looks correct and hit Save. 8. Hit ‘Add’ and repeat for any other Billing Account and/or resources. You may also assign resources to Billing Accounts by using manual tagging. 3. Hit ‘Add’ and repeat for any other Billing Account and/or resources. 3. 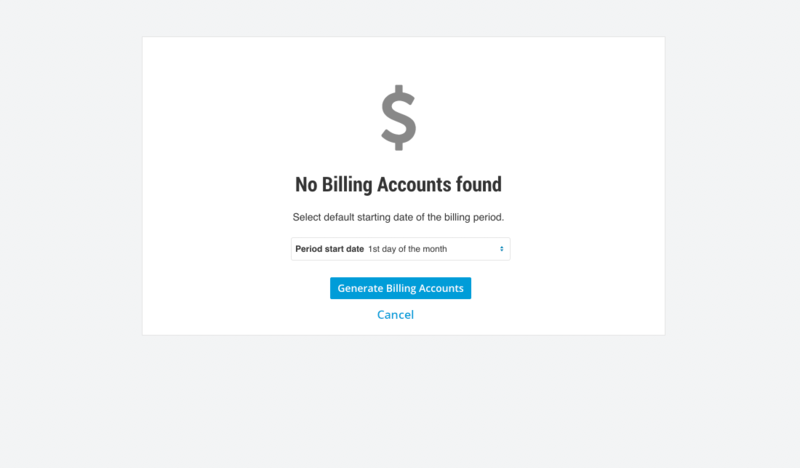 Select the default starting date for the billing period. This is used to eg. estimate monthly spend. You can change this later on. 4. Click Generate Billing Accounts. 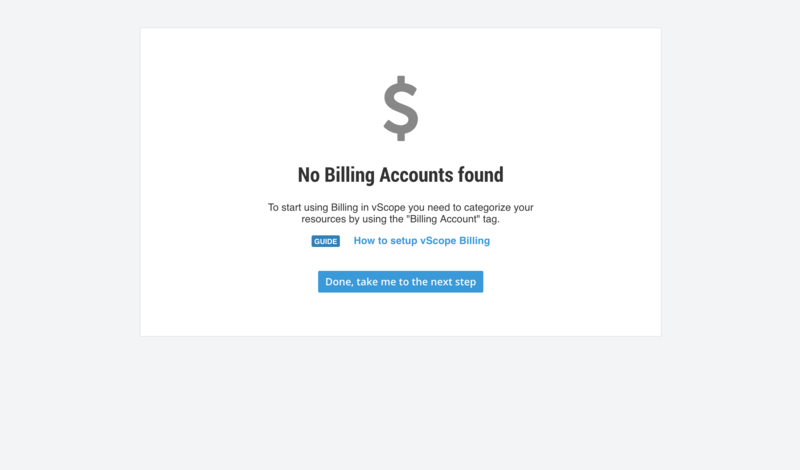 If done right you will end up on an overview page of all your Billing Accounts. Any prices shown are from the default Price List. 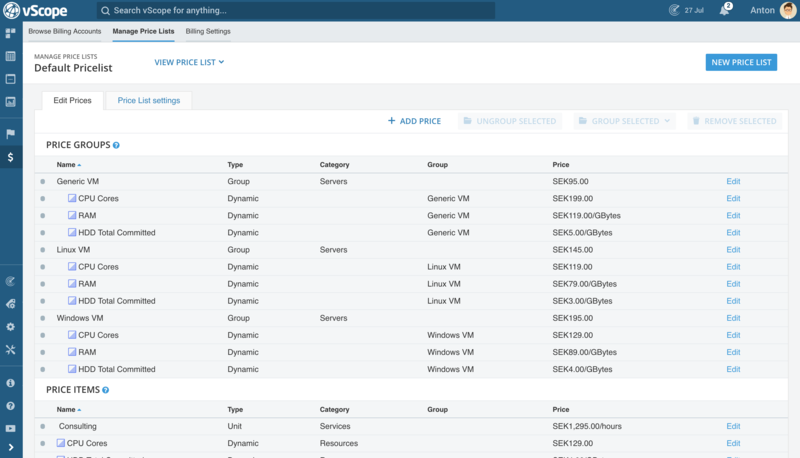 Next step is to customize Price Lists to match your pricing rules. Eventually you probably will need to change prices in the Price List due to inflation, currency markup, seasonal sales, discounts or anything else affecting the prices. However, you don’t want create a completely new Price list whenever this happens or make changes that affects the history of the Billing account. 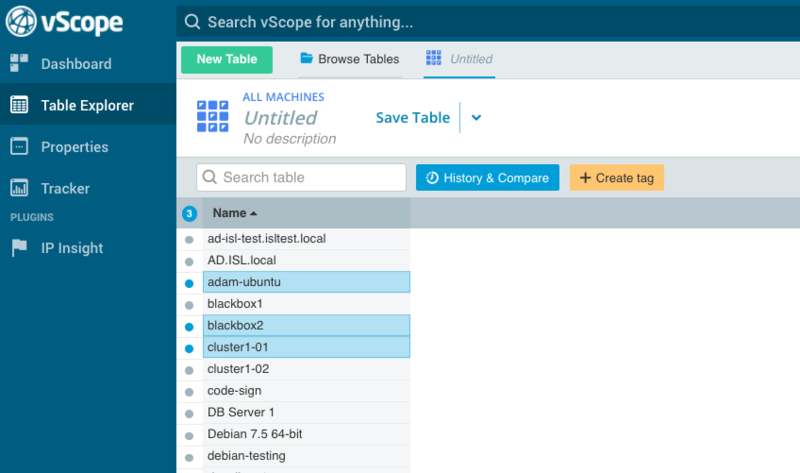 This is why vScope Billing comes with support for “Price List versions”. Adding a version of a Price List allows you to decide what prices that shall be active during what period. This goes for both future price changes and prices that you might have changed in the past. What are Price Items, Groups and Categories?